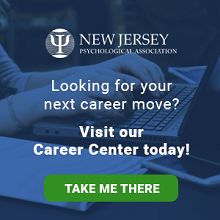 New Jersey Psychology Association (NJPA) is approved by the American Psychological Association to sponsor continuing education for psychologists. NJPA maintains responsibility the program and its content. Please direct your questions concerning an NJPA or NJPA Co-Sponsored CE program, to NJPA Central Staff. You may email your question(s) to [email protected] or call 973-218-9800. Note: Organizations, outside of NJPA, may advertise their CE programs on our website. Some of these CE programs do not fall under the NJPA CE accreditation. Please review the promotional information offered by these organizations regarding their CE sponsorship.